Civil society across India has opposed the draft National Forest Policy (NFP), 2018, calling it anti-Adivasi and forest dwellers, as also anti-ecology, especially objecting to explicitly assuming that 'forests' are a commercial entity in contrast to an ecological entity, even as seeking to promote industrial monoculture plantations such as eucalyptus and teak. While Gujarat’s top farmers’ organization Khedut Samaj insists, it does not seek to give Adivasis in the right to manage and plan forests; rather they are considered as “beneficiaries”, which is “blatantly unjust and unfair”, the Odisha chapter of the Campaign for Survival and Dignity (CSD), in the forefront in the fight for the enactment of the Forest Rights Act (FRA) in 2006, has said that the NFP “serves the interests of corporates rather than conservation of forest eco-system and the lakhs of forest dwelling community”. 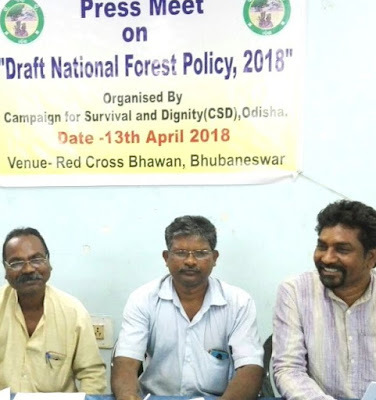 According to Rabari, NFT seeks to intensively market forests by coming up with the slogans “Wood Is Good” and “Grow more Wood, Use more Wood”, suggesting usage of wood products would promote forests. “This appears to be entirely concerned with the promotion of commercial forestry and revenue generation and has nothing to do with preservation and rejuvenation of forests”, he insists. Then, NFP talks of “harmonization the policy with other policies and laws”, which, according to Rabari, is another name for “single window clearance” for corporates, as is done routinely to “attract big capital”. 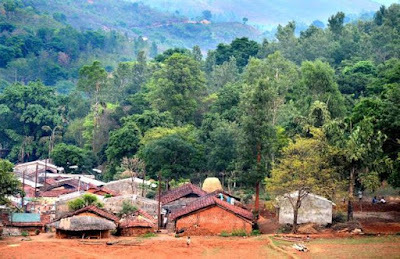 The very fact that the govt is revising the 1988 forest policy is an indication that it wants to favour the corporates through ppp model. The Gujarat model, that resisted PESA and FRA, is being replicated at national level now.